Photo courtesy of Simon & Schuster. Bruce Springsteen’s autobiography, a remarkably honest and often lyrical account of his life, was published earlier this year. 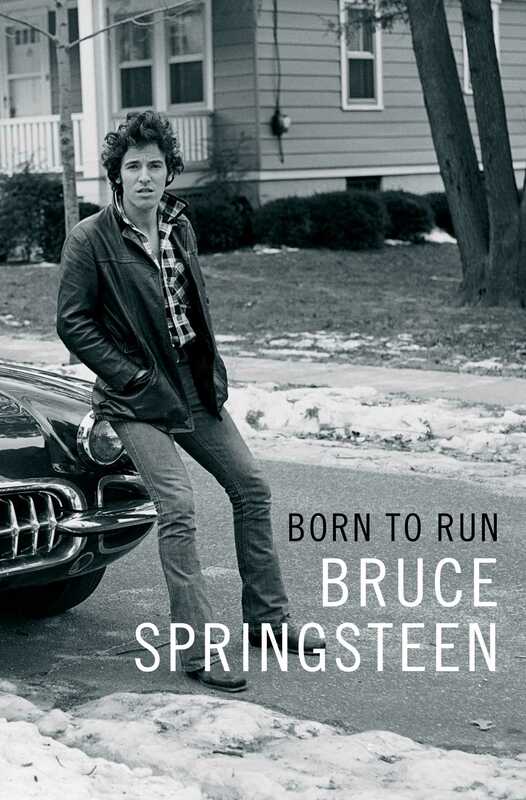 It’s called Born to Run, and of course that’s also the name of one of his most popular songs. Here, the words are emblematic of the strong, perpetually forward momentum he’s maintained in his career (with his personal life running to keep up), from an early age when he set himself out to become one of rock and roll’s most successful stars. As he sees it, all his life he’s been on the run, most times in the right direction but often needing correction and his book lays it all out. 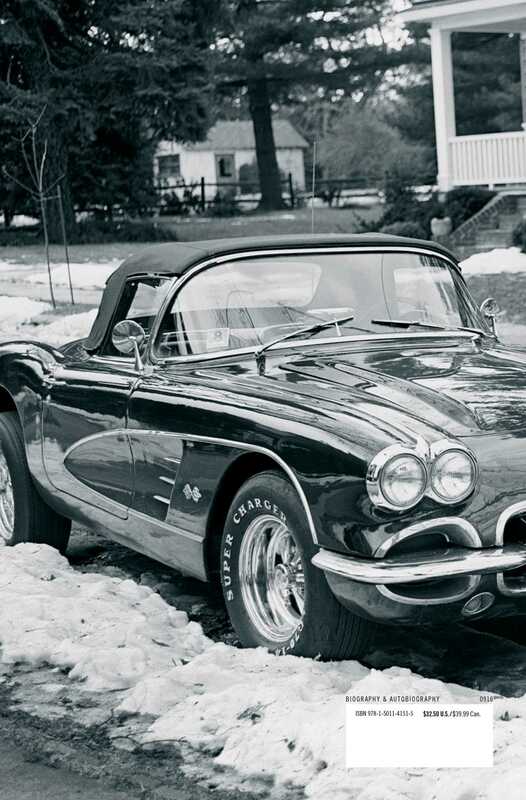 Springsteen’s songwriting genius is in the narrative. Of course he masters melody and harmony and imagery and all of that, but he truly shines in the way he crafts stories of people’s lives in brief but powerful narrative form, usually ordinary people. The stories are compelling and often instructive. So it’s no surprise he can write such a readable story of his own life, and in doing it he draws on his songwriting skills to shape the telling into chapters each in a way like a song. Many of the chapters are stand-alone essays around a particular topic—for example, the house where he grew up, his grandparents, some particularly memorable concert, going into the studio to record an album—sized not necessarily according to the emotional heft or chronological endurance of the topic. Rather, he treats each as he would a song, and you could say he chooses to tell this as a ballad, this one as a lullaby, this one a sharply-defined snapshot with a catchy pop hook that manages to evoke a whole world. For example, the chapters where he writes about each of his children—and particularly about becoming a father for the first time—are short but contain some of the most heart-felt writing in the book. Along with coming to grips with committing himself to his wife, Patti Scialfa, these most private aspects of his life he shares, but briefly and with his greatest effort at honesty and clarity. His relationship with his father, however, serves in the book as a major theme he returns to over and over. It doesn’t seem a very close relationship in the details. His father was a somewhat remote figure and didn’t support him in his early efforts at forming bands, and he took off from the family home on the Jersey shore for California (with Springsteen’s mother and young sister) when Springsteen was nineteen. But it seems that it felt to Springsteen as if his father was abandoning him by leaving behind the territory so fundamental, so essential, not just to his music but to his psyche. Springsteen and his family still spend a significant amount of their time there. But Springsteen always kept a good relationship with his father and tells a funny story of when his father treated him to a fishing expedition off the cost of Baja in his later years. Bruce was too gracious to do anything but go along on the decrepit boat that practically sank, with little safety gear on board. He laughs to himself that his father seemed not to realize he’s a multimillionaire who regularly yachts around the Mediterranean. What a horror story if we lost Bruce Springsteen to that boat. It’s a long book at 510 pages and includes plenty of details for the Springsteen music fan about the kinds of guitars he started out with, the early bands that fizzled, the clubs he played, the experiences of recording each of his albums and his growing success as an international performer. It’s no surprise to find out that someone with a 40-year-long career as a rock musician and still at the top of his field has put in an enormous amount of hard work. On top of that, he’s managed a pretty large-sized rock band successfully. But he is a poet at heart and the hard-hearted decisions required didn’t always come easily to him. He has a remarkably strong sense of living as a hero, and you hear it in so many of his songs. He also feels a touching sense of responsibility toward his fans and addresses us directly, at the end making a serious and clearly heart-felt plea that we all find a way to tell our own story.